Martin Bignell ABIPP, Creative Wedding Photography throughout Yorkshire, the UK and abroad. Indian wedding photography and Nikah wedding photography in the North of England including Leeds, Bradford, Manchester, Oldham. Yorkshire, Lancashire, Cheshire and Northumberland. 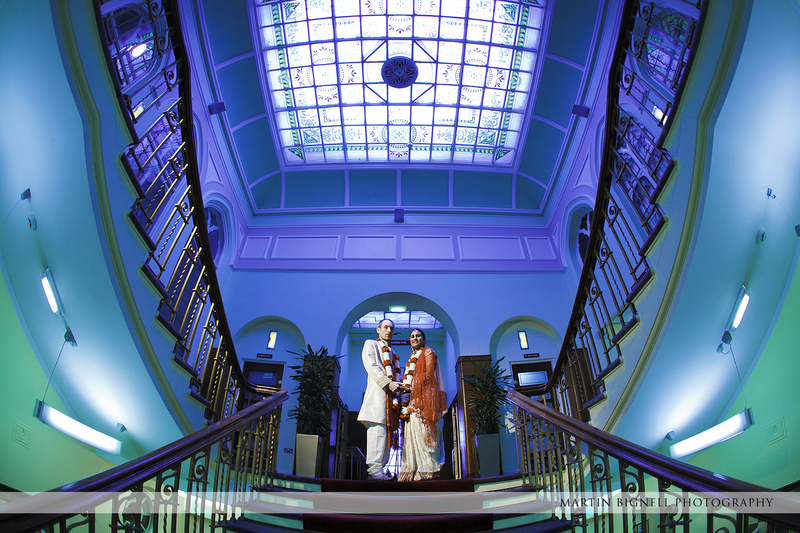 Priya and Justin were married at Dukinfield Town Hall, Dukinfield near Oldham celebrating there Indian wedding ceremony on the grand Staircase underneath the impressive atrium stained glass roof of the main entrance hall.